Life Extension Ascorbyl Palmitate (AP) is a fat-soluble form of vitamin C that can reach tissue areas ascorbic acid cannot. 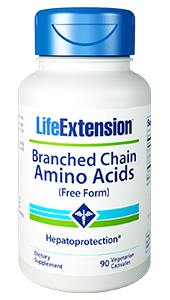 All-in-all, a highly bioavailable and effective alternative to standard vitamin c or ascorbic acid supplements. Ascorbyl palmitate (AP) is a chemical compound which is derived from ascorbic acid and palmitic acid. 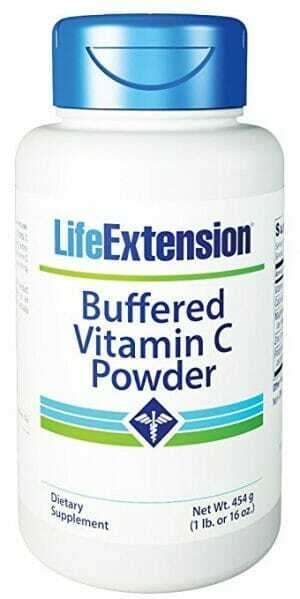 This creates a fat-soluble ester form of vitamin C that is capable of withstanding digestive processes and reaching tissue areas that ascorbic acid cannot. 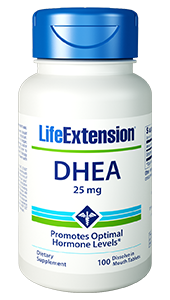 It has even been shown to have beneficial effects on the protection of lipids from peroxidation. The lipophilic AP is able to cross biological barriers and satisfies the tissue demand for ascorbate better than the hydrophilic form. AP should be considered as the preferred form of transport of ascorbate past the blood brain barrier and into neural tissues. 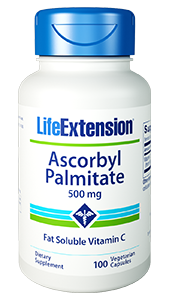 Due to its potential for vastly superior bioavailability, ascorbyl palmitate is thought to be a great choice for vitamin C supplementation. 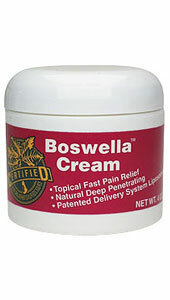 As such, it features all of the same antioxidant, immune health, and cardiovascular support of standard vitamin C. In addition to this, ascorbyl palmitate is thought to be particularly effective for supporting healthy skin and fighting the effects of aging on the skin, such as sagging and wrinkling.